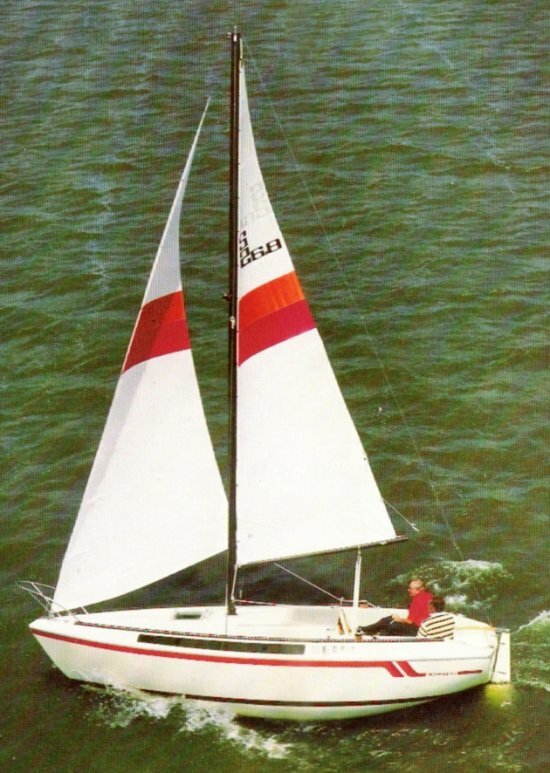 The S2 6.8 EXCITER model (shown in the photo) was part of a package that included red and orange accent stripes. 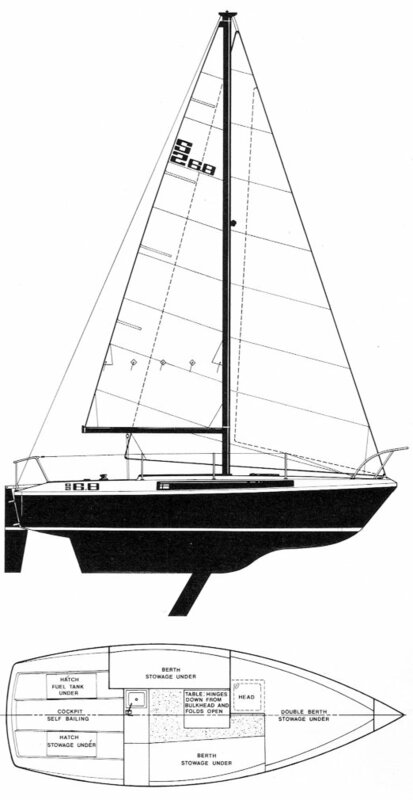 A cast iron centerboard was also an option. (draft with board up is the same as the standard model. Draft (BD) is 4.5'. Thanks to Ed Ramsey for supplying corrected information on this as well as a number of other S2 models.